I’m trying out different colour combinations to see if anything twigs my interest. I have to admit that the yellow ochre underpainting thing is still my favourite, but I don’t want to use it as a crutch. Still, light in these paintings seems to be yellow. 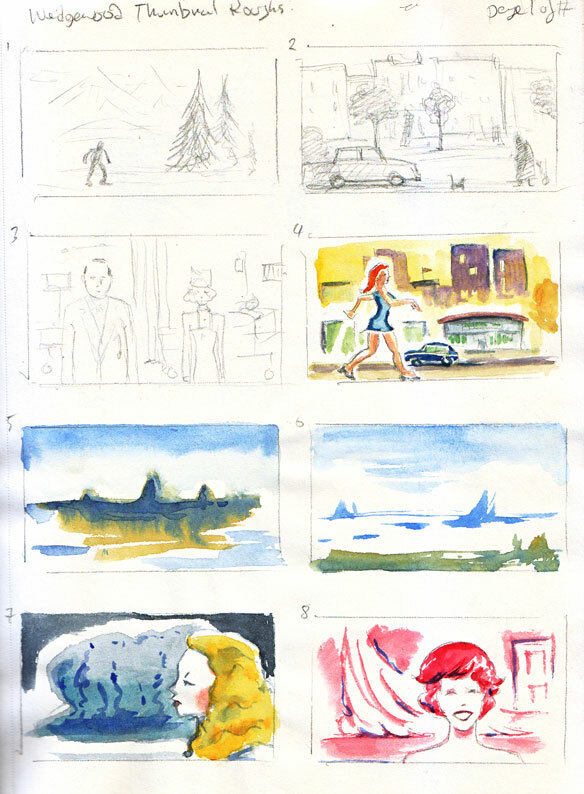 These aren’t actually “Wedgewood thumbnail roughs,” (that’s a old project). Messing with colour schemes, using purposefully “wrong” colours together. 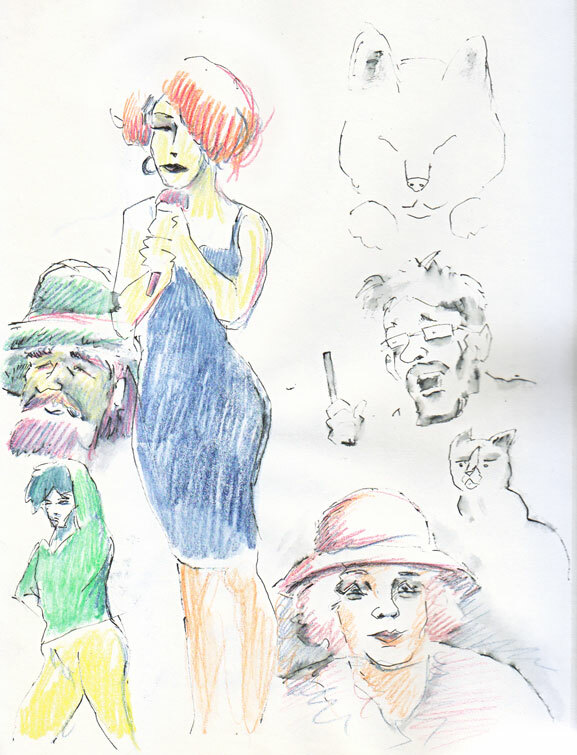 The sketches on the left hand side are from Barbara Bradley’s book “Drawing People.” Bless her heart.